I'm really excited about it as I smelt so many smells to get the scent right – it's fresh and fruity. I love it. 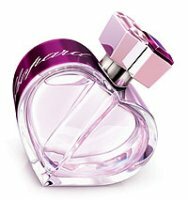 Next month, Chopard will launch Happy Spirit, a new fragrance for women.